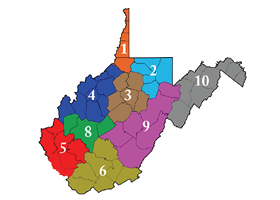 Frank Cooley was born in Newhall, West Virginia and grew up in Marytown, West Virginia, where he attended schools in the area, before graduating in 1965 from Welch High School. He served in the United States Army from November 1965, until 1971 with a Honorable Discharge. He is married to the former Angela Diana Davidson and they have two sons Leonard and James and one granddaughter Samantha. He was employed at the HC Lewis Oil Company for 50 years and still works when not spending time with family and the American Legion. He and his wife Ann reside in Welch, West Virginia and they are members of the Anderson Memorial Presbyterian Church on Stewart Street in Welch. He is one of the Elders and Ann is in the Choir. He has been active with American Legion Post 8 for more than 20 years and he is a paid up for life member. He is a former member of the Color Guard, Past Commander, serves as Sgt. of Arms and Chairman of the Board of Governors. On the District Level, he served as Sgt. of Arms, Adjutant, and two six-year terms as District Commander. On the Department Level, he served as Asst. Sgt. of Arms, Department Vice Commander, 2000-2001 and 2014-2015. Asst. Membership Chairman 2015-2016; Department Membership Chairman 2016-2017.He works in local high schools with boys, who are planning on attending the American Legion Mountaineer Boys State Program at Jackson Mills, where he serves as a Senior Counselor. He serves on State and National Committees and attended the Membership Workshop at National. He is Active with Voiture #1171 40&8 in Welch where he a Past Chef de Gare and still serves as Correspondence. He coached midget league football in Welch for 20 years, while working with the Welch High School Football Program. 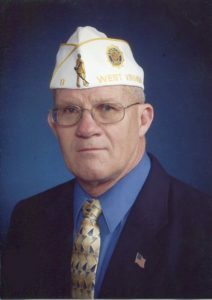 He is active with the Masonic Order, member of Beni Kedem Shriners, Past President of McDowell Shrine, Charter Member of McDowell County Shrine Clown Alley, Past President of the Mighty Welch Lions Club, served as Sight Chairman. Also, he served on Welch City Council for 30 years and as a Volunteer Fireman for 26 years.